With the presidential election just weeks away, Donald J. Trump is predicted to win, according to American University Professor Allan Lichtman. 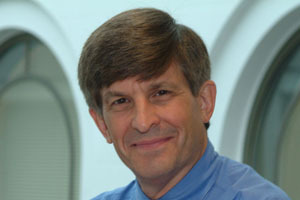 Lichtman’s “13 Keys” system predicts the outcome of the popular vote based on the performance of the party and not the use of candidate preference polls, campaign strategies, or events. “The Keys point to a Donald Trump victory, and in general, point to a generic Republican victory. Still, I believe that given the unprecedented nature of the Trump candidacy and Trump himself, Trump could defy all odds and lose even though the verdict of history is in his favor,” Lichtman said. The “13 Keys,” featured in Allan Lichtman’s renowned book Keys to the White House, have been highlighted in dozens of articles throughout the world and are a resource for aspiring politicians. They are based on a scientific model of “13 Keys,” or conditions that favor reelection of the incumbent party candidate. When five or fewer are false, the incumbent party candidate wins. When six or more are false, the other party candidate wins. According to Lichtman, the Democrats are down six keys. Two keys at stake that could turn the prediction back toward the incumbent party: the third party key and the foreign policy success key. The system predicted President Obama’s re-election in 2012, as early as 2010. In 2005, with the presidential election nearly three years out and neither party with a chosen nominee, Lichtman declared that the Democrats would retake the White House no matter which candidate—Barack Obama, Hillary Clinton, or John Edwards—captured the Democratic nomination. The system also predicted George W. Bush's 2004 reelection as early as April 2003, Al Gore’s popular vote victory in 2000, Bill Clinton’s win in 1996, George Bush’s defeat in 1992, the outcome of the 1988 presidential election when Michael Dukakis was well ahead in the polls and the 1984 outcome. “The Keys show that elections are not horse races in which candidates surge ahead or fall behind on the campaign trail, with pollsters keeping score,” says Lichtman. “Rather, a pragmatic American electorate chooses a president according to the performance of the party holding the White House as measured by the consequential events and episodes of a term — economic boom and bust, foreign policy successes and failures, social unrest, scandal, and policy innovation.